A space-defining play area! This easy-to-assemble, sturdy wooden play table is ideal for trains, dollhouses, arts & crafts projects, blocks, puzzles and more! 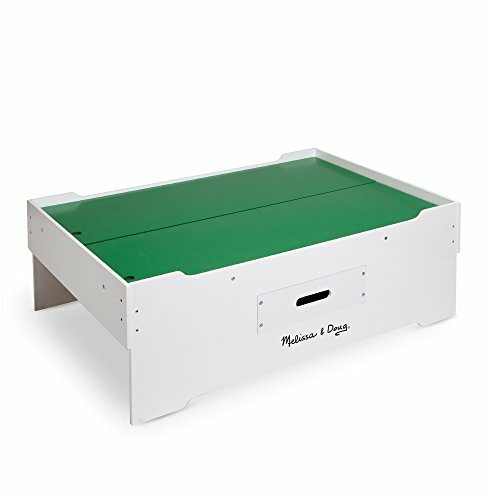 It also features a double-sided play board and jumbo-sized drawer for convenient storage!